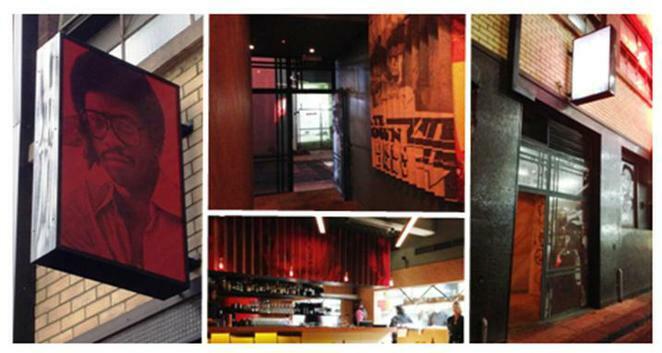 I'm a freelance writer living in Melbourne who enjoys food, travel, art & literature. I heard that a new restaurant opened on Meyers Place and couldn't wait to check it out. I was not disappointed. 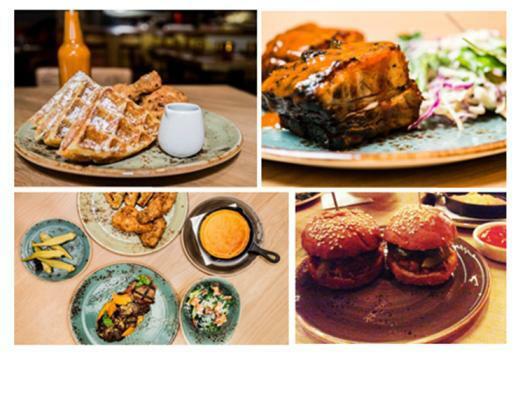 Mr Big Stuff is the brainchild of five friends (Michael Chen, Andrew Montell, Hasan Sharif, Adam Ong & Lazaros Papasavas) and is all about adding a little bit of soul into Melbourne's dining scene. 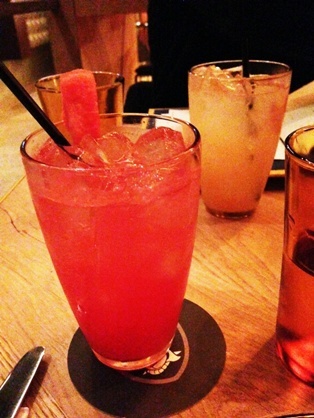 Their philosophy is simple: mouth-watering soul food inspired dishes, fresh drinks to match, funky tunes, smiling staff, and an atmosphere to live and laugh in. A quick Wikipedia search on soul food reveals that it is a variety of cuisine popular in African-American culture closely related to the cuisine of the Southern United States that gained popularity in the 1960s. The first thing you notice as you walk in is a real cool underground-jazz-club-type vibe. The warm colours of reds, oranges and yellows evoke a relaxed, chill-out kind of feeling: the sort of place you can escape in. Being early on a Tuesday night in its second week since opening, it was a little quiet to start with but that didn't detract at all. Staff were friendly and helpful and confident when asked questions about the menu: only too eager to provide suggestions when requested. 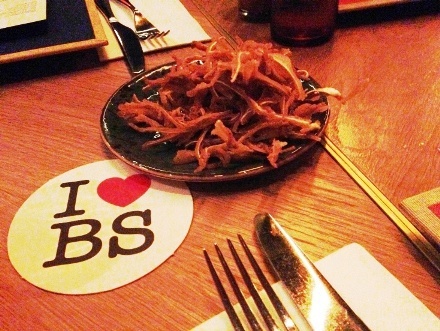 To start with, we had the pig's ear chips and pickled okra; both great. The pig's ear chips were packed full of flavour and I really enjoyed them despite the fact that this is not a dish I would ordinarily order (I'll need to rethink this now). Moving on to mains and being a group of five, we decided to order a few dishes to share; what better way to taste all that Mr Big Stuff has to offer? We could not go past the fried chicken and waffles (served with spiced maple syrup) and pork ribs and also elected to order some pork sliders and corn bread along with kale greens. There was so much more on offer though including mac & cheese, jerk chicken wings and tongue and cheek (veal, grilled tongue, braised cheek with sweet potato puree) to name a few. I could not fault any of the dishes. My favourite by far was the fried chicken and waffles as it was unlike anything I have ever had before: moist chicken, crispy skin full of flavour and then the sweetness of the maple syrup - YUM! The pork ribs were deliciously sticky and tasty and the pulled pork sliders were just amazing. They did make an error with our order; however, they handled it so well that it didn't detract from the experience at all; in fact, it enhanced it. 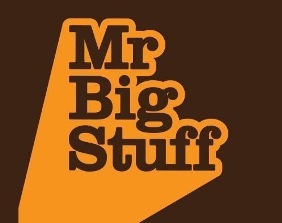 Mr Big Stuff also has a vast drinks menu including all your normal favourites along with a great range of alcoholic and non-alcoholic cocktails or "cold pressed kool-aid" made with fresh juices and a wide-range of alcoholic and non-alcoholic iced teas. We all ordered something different and no one was disappointed. There was no DJ while we were there (probably because it was a Tuesday night); however, there were some great tunes playing in the background as we enjoyed our meal. I'll have to go back and check it out in all its glory with the DJ spinning in the corner. What I really loved about the place was the atmosphere: it was laid back and comfortable and at no time did we feel under pressure to leave (even though we ended up being there for over 3 hours). It was a great place to chill out and enjoy good conversation over some great food and music. 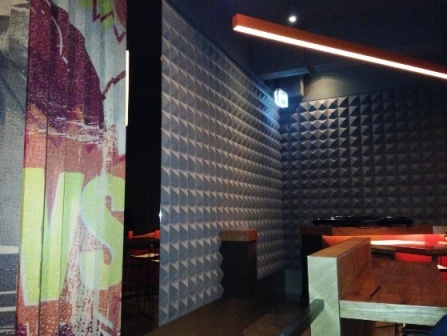 If you are looking for a funky, laid back spot where you can hang out with friends and enjoy some good quality, honest soul food inspired cuisine and great tunes, I definitely recommend that you check out Mr Big Stuff. So get down on it and don't stop 'til you get enough!